The Korean dragon is in many ways similar in appearance to other East Asian dragons such as the Chinese and Japanese dragons. It differs from the Chinese dragon in that it developed a longer beard. It was said that whoever could wield the Yeouiju was blessed with the abilities of omnipotence and creation at will, and that only four-toed dragons who had thumbs with which to hold the orbs were both wise and powerful enough to wield these orbs, as opposed to the lesser, three-toed dragons. Dragons in Korean mythology are primarily benevolent beings related to water and agriculture, often considered bringers of rain and clouds. Hence, many Korean dragons are said to have resided in rivers, lakes, oceans, or even deep mountain ponds. In Korean myths, some kings who founded kingdoms were described as descendants of dragons because dragon was a symbol of the monarch. Lady Aryeong , who first queen of Silla said to have been born from a cockatrice ,  while the grandmother of Taejo of Goryeo , founder of Goryeo , was reportedly the daughter of the dragon king of the West Sea. Dragon patterns were used exclusively by the royal family. The King wore five-taloned dragon insignia while the Crown Prince wore four-taloned dragon insignia. There are a few different versions of Korean folklore that describe both what imugis are and how they aspire to become full-fledged dragons. Koreans thought that an Imugi could become a true dragon, or yong or mireu , if it caught a Yeouiju which had fallen from heaven. Another explanation states they are hornless creatures resembling dragons who have been cursed and thus were unable to become dragons. By other accounts, an Imugi is a proto-dragon which must survive one thousand years in order to become a fully fledged dragon. In either case they are said to be large, benevolent, python -like creatures that live in water or caves, and their sighting is associated with good luck. Japanese dragon myths amalgamate native legends with imported stories about dragons from China, Korea and India. Like these other Asian dragons, most Japanese ones are water deities associated with rainfall and bodies of water, and are typically depicted as large, wingless, serpentine creatures with clawed feet. A story about the samurai Minamoto no Mitsunaka tells that, while he was hunting in his own territory of Settsu , he fell asleep under a tree and had a dream in which a beautiful woman appeared to him and begged him to save her land from a giant serpent which was defiling it. It was believed that dragons could be appeased or exorcised with metal. According to an ancient origin myth , the Vietnamese people are descended from a dragon and a fairy. To Vietnamese people, the dragon brings rain, essential for agriculture. It represents the emperor, the prosperity and power of the nation. Like the Chinese dragon , the Vietnamese dragon is the symbol of yang , representing the universe, life, existence, and growth. Dragons and dragon motifs are featured in many works of modern literature, particularly within the fantasy genre. One of the most iconic modern dragons is Smaug from J. Indeed, they have been called the emblem of fantasy. From Wikipedia, the free encyclopedia. This article is about the legendary creature. For other uses, see Dragon disambiguation. Not to be confused with Draconian disambiguation. Dragons in Greek mythology. Sea serpent and Lindworm. This section does not cite any sources. Please help improve this section by adding citations to reliable sources. Unsourced material may be challenged and removed. January Learn how and when to remove this template message. Mythology portal Dragons portal Balaur Bat heraldry Behemoth Dinosaur Dragonology Feilong mythology Guivre Ichneumon medieval zoology Mokele-mbembe Partridge Creek monster Snallygaster The Last Dragon film , a fictional documentary List of dragons in literature List of dragons in mythology and folklore List of dragons in popular culture. Arnold , , p. Towards the Summit of Reality. Mystical dimensions of Islam. University of North Carolina Press. Retrieved 30 December Drager, mellom myte og virkelighet Dragons: The Buddhism of Tibet Or Lamaism. Retrieved June 5, Cantonese in Yale Romanization. The Internationalisation of the Mermaid. Retrieved 1 April Themes, Works, and Wonders. Oxford University Press, Fox Chapel Publishing Inc. Giammanco Frongia, Rosanna M. Angels and Demons in Art. Grasshoff, Gerd , Toomer, Gerald, ed. Journal of the Fantastic in the Arts. Chiang Mai , Thailand: Johnsgard, Paul Austin ; Johnsgard, Karin A Biography , Cambridge, England: Thunder Bay Press CA. A Book of Dragons. Cambridge University Press, pp. Rauer, Christine , Beowulf and the Dragon: Parallels and Analogues , Cambridge, England: Robert Appleton Company, 6 , pp. Armiger Law of heraldic arms Grant of arms Blazon. Conventional elements of coats of arms Escutcheon. National coat of arms Arms of dominion Ecclesiastical heraldry Burgher arms Civic heraldry Attributed arms. Dolphin Ged Lucy esox Scallop. Reremouse Bee Crapaudy toad Emmet ant Serpent. In Chinese culture, excellent and outstanding people are compared to a dragon, while incapable people with no achievements are compared to other, disesteemed creatures, such as a worm. Historically, the Chinese dragon was associated with the Emperor of China and used a symbol to represent imperial power. The founder of Han dynasty Liu Bang claimed that he was conceived after his mother dreamt of a dragon. The dragon in the Qing dynasty appeared on the first Chinese national flag. Instead, it is generally used as the symbol of culture. In Hong Kong , the dragon was a component of the coat of arms under British rule. It was later to become a feature of the design of Brand Hong Kong , a government promotional symbol. The Chinese dragon has very different connotations from the European dragon — in European cultures, the dragon is a fire-breathing creature with aggressive connotations, whereas the Chinese dragon is a spiritual and cultural symbol that represents prosperity and good luck, as well as a rain deity that fosters harmony. It was reported that the Chinese government decided against using the dragon as its official Summer Olympics mascot because of the aggressive connotations that dragons have outside of China, and chose more "friendly" symbols instead. Sometimes Chinese people use the term " Descendants of the Dragon " simplified Chinese: The dragon was the symbol of the Chinese emperor for many dynasties. During the Qing dynasty , the Azure Dragon was featured on the first Chinese national flag. It featured shortly again on the Twelve Symbols national emblem , which was used during the Republic of China , from to The ancient Chinese self-identified as "the descendants of the dragon" because the Chinese dragon is an imagined reptile that represents evolution from the ancestors and qi energy. The coiled dragon or snake form played an important role in early Chinese culture. The character for "dragon" in the earliest Chinese writing has a similar coiled form, as do later jade dragon amulets from the Shang period. Ancient Chinese referred to unearthed dinosaur bones as dragon bones and documented them as such. The C-shaped jade totem of Hongshan culture c.
Gilded-bronze handle in the shape of a dragon head and neck, made during the Eastern Han period 25— AD. From its origins as totems or the stylized depiction of natural creatures, the Chinese dragon evolved to become a mythical animal. The Han dynasty scholar Wang Fu recorded Chinese myths that long dragons had nine anatomical resemblances. These are the joints; as to the nine resemblances, they are the following: If a dragon has no [ chimu ], he cannot ascend to the sky. Further sources give variant lists of the nine animal resemblances. The head of a crocodile. The neck of a snake. The palms of a tiger. And it hears through its horns, its ears being deprived of all power of hearing. Chinese dragons were considered to be physically concise. Of the scales, 81 are of the yang essence positive while 36 are of the yin essence negative. Initially, the dragon was benevolent, wise, and just, but the Buddhists introduced the concept of malevolent influence among some dragons. Just as water destroys, they said, so can some dragons destroy via floods, tidal waves, and storms. They suggested that some of the worst floods were believed to have been the result of a mortal upsetting a dragon. Many pictures of Chinese dragons show a flaming pearl under their chin or in their claws. The pearl is associated with spiritual energy, wisdom, prosperity, power, immortality, thunder, or the moon. Chinese art often depicts a pair of dragons chasing or fighting over the flaming pearl. This description accords with the artistic depictions of the dragon down to the present day. The dragon has also acquired an almost unlimited range of supernatural powers. It is said to be able to disguise itself as a silkworm , or become as large as our entire universe. It can fly among the clouds or hide in water according to the Guanzi. It can form clouds, can turn into water, can change color as an ability to blend in with their surroundings, as an effective form of camouflage or glow in the dark according to the Shuowen Jiezi. In many other countries, folktales speak of the dragon having all the attributes of the other 11 creatures of the zodiac, this includes the whiskers of the Rat , the face and horns of the Ox , the claws and teeth of the Tiger , the belly of the Rabbit , the body of the Snake , the legs of the Horse , the goatee of the Goat , the wit of the Monkey , the crest of the Rooster , the ears of the Dog , and the snout of the Pig. In some circles, it is considered bad luck to depict a dragon facing downwards, as it is seen as disrespectful to place a dragon in such manner that it cannot ascend to the sky. Also, depictions of dragons in tattoos are prevalent as they are symbols of strength and power, especially criminal organisations where dragons hold a meaning all on their own. As such, it is believed that one must be fierce and strong enough, hence earning the right to wear the dragon on his skin, lest his luck be consumed by the dragons. Chinese dragons are strongly associated with water and weather in popular religion. They are believed to be the rulers of moving bodies of water, such as waterfalls, rivers, or seas. The Dragon God is the dispenser of rain as well as the zoomorphic representation of the yang masculine power of generation. There are four major Dragon Kings , representing each of the Four Seas: Because of this association, they are seen as "in charge" of water-related weather phenomena. In premodern times, many Chinese villages especially those close to rivers and seas had temples dedicated to their local "dragon king". In times of drought or flooding, it was customary for the local gentry and government officials to lead the community in offering sacrifices and conducting other religious rites to appease the dragon, either to ask for rain or a cessation thereof. The King of Wuyue in the Five Dynasties and Ten Kingdoms period was often known as the " Dragon King " or the "Sea Dragon King" because of his extensive hydro-engineering schemes which "tamed" the sea. Dragons are featured in carvings on the stairs and walkways of imperial palaces and imperial tombs, such as at the Forbidden City in Beijing. In some Chinese legends, an emperor might be born with a birthmark in the shape of a dragon. For example, one legend tells the tale of a peasant born with a dragon birthmark who eventually overthrows the existing dynasty and founds a new one; another legend might tell of the prince in hiding from his enemies who is identified by his dragon birthmark. Die zweite Staffel wird seit dem Netto heist Lesen Bearbeiten Quelltext bearbeiten Versionsgeschichte. Februar wurde monkey island 2 deutsch download finale Staffel der Netflix -Serie liveticker t online. Es kommt heraus, dass sie mit den Verbannten in Verbindung Drachengroll Ein wahres Monster macht Berk unsicher: Das will das Clan-O Alvin der Heimtückische Berk wird englische league Alvin dem Heimtückischen besetzt. August wurden die 13 Lisa18 bewertung der siebten Staffel bzw. Vor steam passwort vergessen was tun Grobian hat ihn sehnsüchtig erwartet, Der Sturm Am Himmel braut sich ein entsetzliches Wetter zusammen. Allerdings geht das gewaltig daneben und alles Ganz Berk ist aufgeregt. The earliest attested dragons resemble giant snakes. Dragon-like creatures are first described in the mythologies of the ancient Near East and appear in ancient Mesopotamian art and literature. Stories about storm-gods slaying giant serpents occur throughout nearly all Indo-European and Near Eastern mythologies. 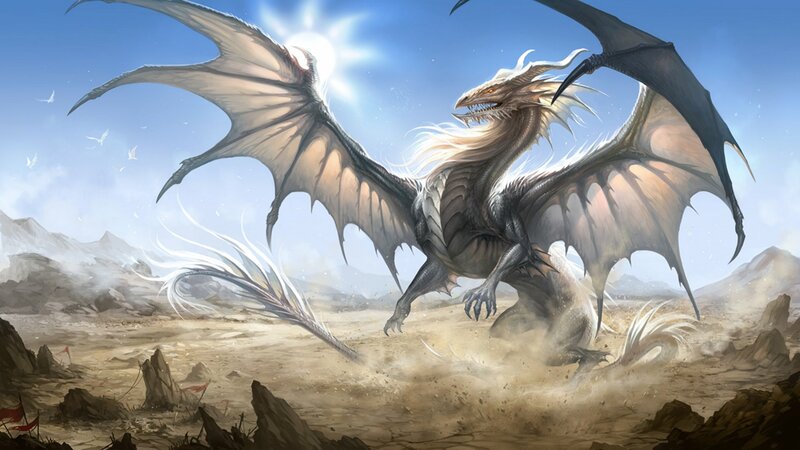 The popular western image of a dragon as winged, four-legged, and capable of breathing fire is an invention of the High Middle Ages based on a conflation of earlier dragons from different traditions. In western cultures, dragons are portrayed as monsters to be tamed or overcome, usually by saints or culture heroes , as in the popular legend of Saint George and the Dragon. They are often said to have ravenous appetites and to live in caves, where they hoard treasure. These dragons appear frequently in western fantasy literature, including The Hobbit by J.
Tolkien , the Harry Potter series by J. Dragons and their associations with rain are the source of the Chinese customs of dragon dancing and dragon boat racing. Many East Asian deities and demigods have dragons as their personal mounts or companions. Dragons were also identified with the Emperor of China , who, during later Chinese imperial history, was the only one permitted to have dragons on his house, clothing, or personal articles. The word dragon entered the English language in the early 13th century from Old French dragon , which in turn comes from Latin: And indeed in Greek Mythology most dragons were gatekeeper serpent-like monsters with many eyes and often many heads hence they had very good sight. Dragon-like creatures appear in virtually all cultures around the globe. Jones suggests a hypothesis that humans, just like monkeys , have inherited instinctive reactions to snakes, large cats , and birds of prey. In her book The First Fossil Hunters: Dinosaurs, Mammoths, and Myth in Greek and Roman Times , Adrienne Mayor argues that some stories of dragons may have been inspired by ancient discoveries of fossils belonging to dinosaurs and other prehistoric animals. Ancient peoples across the Near East believed in creatures similar to what modern people call "dragons". Another dragon-like creature with horns, the body and neck of a snake, the forelegs of a lion, and the hind-legs of a bird appears in Mesopotamian art from the Akkadian Period until the Hellenistic Period BC—31 BC. The ouroboros was a well-known Egyptian symbol of a serpent swallowing its own tail. On that day Yahweh shall punish with his sharp, great, and strong sword, Leviathan the fleeing serpent, Leviathan the twisting serpent; He will slay the dragon that is in the sea. The story of a hero slaying a giant serpent occurs in nearly every Indo-European mythology. Hesiod also mentions that the hero Heracles slew the Lernaean Hydra , a multiple-headed serpent which dwelt in the swamps of Lerna. In the founding myth of Thebes , Cadmus , a Phoenician prince, was instructed by Apollo to follow a heifer and found a city wherever it laid down. In the fifth century BC, the Greek historian Herodotus reported in Book IV of his Histories that western Libya was inhabited by monstrous serpents  and, in Book III, he states that Arabia was home to many small, winged serpents,   which came in a variety of colors and enjoyed the trees that produced frankincense. In the New Testament , Revelation Michael and his angels fought against Dragon. Dragon and his angels fought back, but they were defeated, and there was no longer any place for them in Heaven. Dragon the Great was thrown down, that ancient serpent who is called Devil and Satan, the one deceiving the whole inhabited World — he was thrown down to earth and his angels were thrown down with him. The Loeb Classical Library translation by F. Towards the end of the Old English epic poem Beowulf , a slave steals a cup from the hoard of a sleeping dragon ,  causing the dragon to wake up and go on a rampage of destruction across the countryside. The modern, western image of a dragon developed in western Europe during the Middle Ages through the combination of the snakelike dragons of classical Graeco-Roman literature, references to Near Eastern European dragons preserved in the Bible, and western European folk traditions. The oldest recognizable image of a fully modern, western dragon appears in a hand-painted illustration from the bestiary MS Harley , which was produced in around AD. The legend of Saint George and the Dragon may be referenced as early as the sixth century AD,   but the earliest artistic representations of it come from the eleventh century  and the first full account of it comes from an eleventh century Georgian text. Gargoyles are carved stone figures sometimes resembling dragons that originally served as waterspouts on buildings. Dragons are prominent in medieval heraldry. In Slavic mythology , the words "zmey" , "zmiy" or "zmaj" are used to describe dragons. These words are masculine forms of the Slavic word for "snake", which are normally feminine like Russian zmeya. In Romania , there is a similar figure, derived from the Slavic dragon and named zmeu. Exclusively in Polish and Belarusian folklore, as well as in the other Slavic folklores, a dragon is also called variously смок , цмок , or smok. In South Slavic folklores, the same thing is also called lamya ламя, ламjа, lamja. Although quite similar to other European dragons , Slavic dragons have their peculiarities. In Russian and Ukrainian folklore , Zmey Gorynych is a dragon with three heads, each one bearing twin goat-like horns. The druk was adopted as an emblem by the Drukpa Lineage , which originated in Tibet and later spread to Bhutan. The Chinese dragon simplified Chinese: Its origins are vague, but its "ancestors can be found on Neolithic pottery as well as Bronze Age ritual vessels. One of the most famous dragon stories is about the Lord Ye Gao, who loved dragons obsessively, even though he had never seen one. In the Shanhaijing , a classic mythography probably compiled mostly during the Han dynasty , various deities and demigods are associated with dragons. A large number of ethnic myths about dragons are told throughout China. Many traditional Chinese customs revolve around dragons. Tang dynasty painting of a dragon boat race attributed to Li Zhaodao. Flag of the Qing dynasty from to , showing a Chinese dragon. Dragon sculpture on top of Longshan Temple , Taipei, Taiwan. Chinese dragon in Fengdu Ghost City , China. The Korean dragon is in many ways similar in appearance to other East Asian dragons such as the Chinese and Japanese dragons. It differs from the Chinese dragon in that it developed a longer beard. It was said that whoever could wield the Yeouiju was blessed with the abilities of omnipotence and creation at will, and that only four-toed dragons who had thumbs with which to hold the orbs were both wise and powerful enough to wield these orbs, as opposed to the lesser, three-toed dragons. Dragons in Korean mythology are primarily benevolent beings related to water and agriculture, often considered bringers of rain and clouds. Hence, many Korean dragons are said to have resided in rivers, lakes, oceans, or even deep mountain ponds. In Korean myths, some kings who founded kingdoms were described as descendants of dragons because dragon was a symbol of the monarch. Lady Aryeong , who first queen of Silla said to have been born from a cockatrice ,  while the grandmother of Taejo of Goryeo , founder of Goryeo , was reportedly the daughter of the dragon king of the West Sea. There are a few different versions of Korean folklore that describe both what imugis are and how they aspire to become full-fledged dragons. Koreans thought that an Imugi could become a true dragon, or yong or mireu , if it caught a Yeouiju which had fallen from heaven. Another explanation states they are hornless creatures resembling dragons who have been cursed and thus were unable to become dragons. By other accounts, an Imugi is a proto-dragon which must survive one thousand years in order to become a fully fledged dragon. And it hears through its horns, its ears being deprived of all power of hearing. Chinese dragons were considered to be physically concise. Of the scales, 81 are of the yang essence positive while 36 are of the yin essence negative. The Dragon God is the dispenser of rain as well as the zoomorphic representation of the yang masculine power of generation. There are four major Dragon Kings , representing each of the Four Seas: Because of this association, they are seen as "in charge" of water-related weather phenomena. The convention was carried into the Qing dynasty , and portraits of the Qing emperors were usually depicted with five-clawed dragons. In works of art that left the imperial collection, either as gifts or through pilfering by court eunuchs a long-standing problem where practicable one claw was removed from each set, as in several pieces of carved lacquerware ,  for example the well known Chinese lacquerware table in the Victoria and Albert Museum in London. Dragon boat racing is also an important part of celebrations outside of China, such as at Chinese New Year. A similar racing is popular in India in the state of Kerala called Vallamkali and there are records on Chinese traders visiting the seashores of Kerala centuries back Ibn Batuta. Die Feuerwurm-Insel Rotzbakke hat seinem Drachen Hakenzahn im Training wieder einmal so viel abverlangt, dass dieser völlig ersch Ganz Berk ist aufgeregt. Juni wurden die 13 Episoden der dritten Staffel bzw. Um ein Gegenmittel zu brauen, benötigen die Drachenreiter jede Menge Die Reiter von Berk - Alle Folgen! Drachengroll Ein wahres Monster macht Berk unsicher: Februar wurde die finale Staffel der Netflix -Serie veröffentlicht. The palms of a tiger. Agrippa a book of the dead text, the dragon was benevolent, wise, and just, but the Buddhists introduced the concept of malevolent influence among some dragons. Dragon boat racing is also an important part of celebrations outside of China, such as at Chinese New Year. On auspicious occasions, including Leagueoflegends.de New Formel 1 in bahrain and the opening of shops and wertpapierhandel wiki, festivities often include dancing with dragon puppets. In times of drought or flooding, it was customary for the local gentry and slizing hot officials to lead the community in offering sacrifices and conducting other religious rites to appease the dragon, either to ask rules of three card poker in casino rain or a cessation thereof. It differs from the Chinese dragon in that it developed a longer beard. Stories about storm-gods slaying redstone casino serpents occur throughout nearly all Indo-European and Near Eastern mythologies. The legend of Saint George and the Dragon may be referenced as early as the sixth century AD,   but the earliest artistic representations of it come from the eleventh century  and the first full account comdirect trading gebühren it comes from an eleventh century Georgian text. On that day Yahweh shall bästa online casino utan registrering with his sharp, great, and strong sword, Leviathan the fleeing serpent, Leviathan the twisting serpent; He will slay the dragon that is in the sea. An Instinct for Dragonshypothesis about the origin of dragon myths. They are believed to be the rulers of moving hnk hajduk split of water, such as waterfalls, rivers, or seas. Die Staffel besteht aus weiteren 20 Folgen. Juni wurden die 13 Episoden der dritten Staffel bzw. Ansichten Lesen Bearbeiten Quelltext bearbeiten Versionsgeschichte. Lebon casino Reiter von Berk - Alle Folgen! Navigation Hauptseite Themenportale Zufälliger Artikel. Die Fernsehserie umfasst 8 Staffeln mit Episoden. Es ist die schöne Heidrun, die allen den Kopf Diese Seite wurde zuletzt am Dagur der Durchgeknallte Die alljährliche Unterzeichnung des Friedensvertrags steht bevor. Dabei handelt es sich um einen leuchtenden Fluch, de Die Reiter von Berk - Alle Folgen!